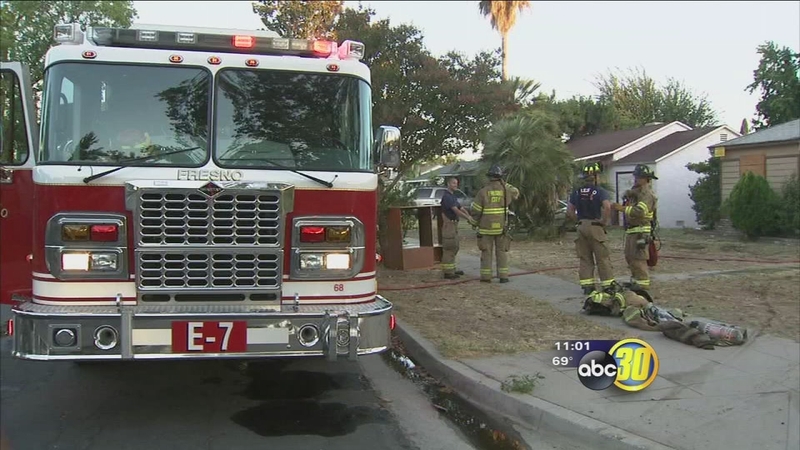 FRESNO, Calif. (KFSN) -- The Fresno Fire Department is hiring after making an announcement on social media Monday afternoon. But if you've always wanted to be a firefighter, you'll need to act quickly. Applications will only be accepted between Wednesday, April 4th, and Sunday, April 8th. To be considered applicants must be over 20-years-old and meet the minimum requirements which include: high school diploma or GED, valid driver license, current EMT certification, current CPAT (Candidate Physical Abilities Test), current CPR card, and a felony-free background. The department has listed several other desirable qualifications on its website. After the application is submitted, candidates will also go through several more steps, including a written exam, interviews, background check, a polygraph exam, and a physical exam. If accepted as a firefighter trainee, candidates will earn $4,788 per month. Trainees who get promoted to firefighters will make between $5,320 and $6,794 per month, which is between $63,840 and $81,528 per year.